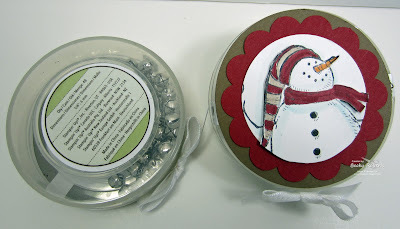 This week I will share with you a few highlights from my Snow Much Fun Stamp Camp. The favors - everyone got one for attending. Love this idea by Laura Zaraza. She shared this on our Stampin' Up! 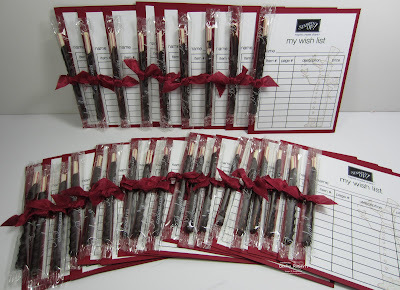 demo site, Stampin' Connections. If they registered a guest, they received a little gift - Jingle Bells from the Holiday Mini Catalog. Everyone needs a wish list this time of year, right? I've already received a couple back with all the lines filled up! 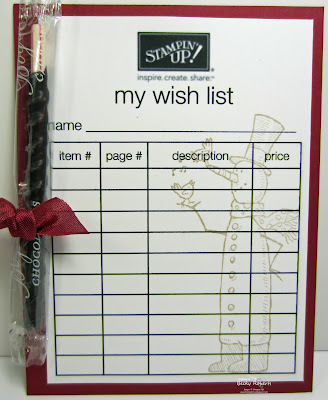 They had a pen in their project kit, so I tied a chocolate candy cane to the Wish List. These are brilliant Becky, love them, damn you are good! 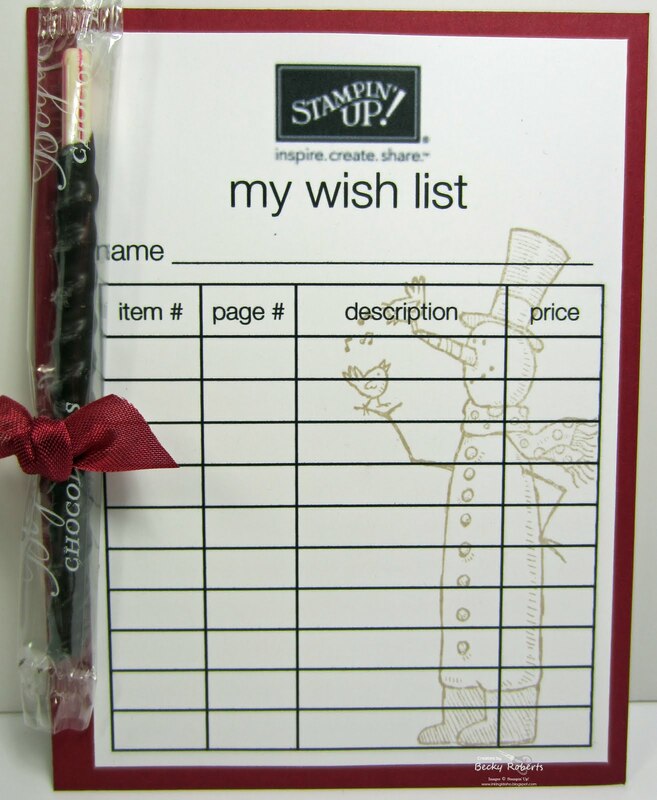 Would you be willing to share the dimensions of the wish list, they are so adorable!!! 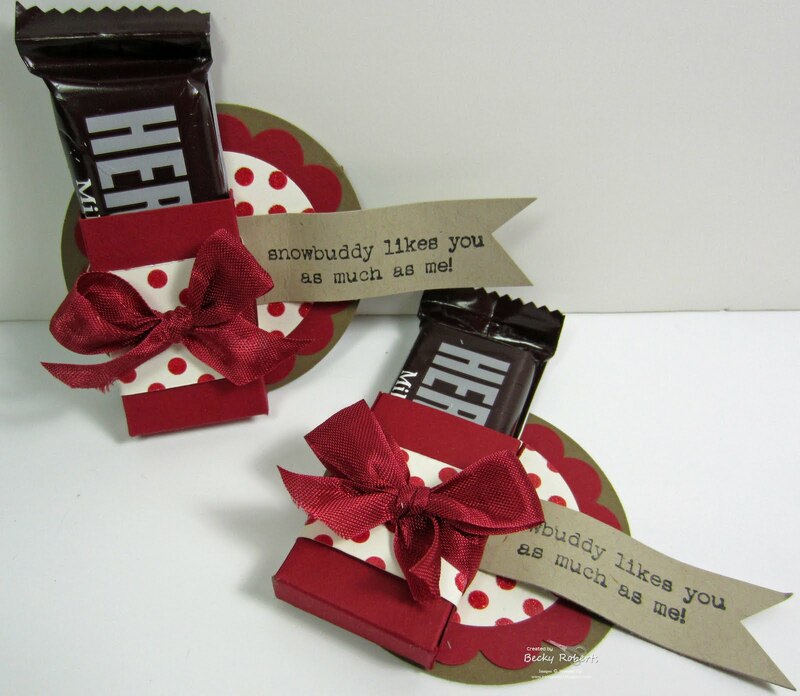 Would you be willing to share how you made the favors. 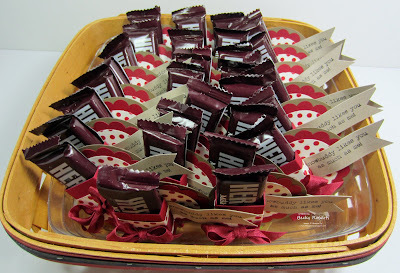 I LOVE these candy bar favors!!! Would you be willing to share or let me buy the template & instructions on how to make these? Oh how I wish I lived close enough to you so I could take your classes!